The Minister for Immigration signed a new Legislative Instrument (LI) this week with essentially the same terms as the current LI. The new LI expires 1 October 2027. Oz Kiwi still strongly recommends that Protected Special Category visa-holders (PSCVs) apply for citizenship. This is the best way to ensure your rights are protected in Australia. As you may know, Protected Special Category Visa-holders (PSCVs) can apply for citizenship without needing a permanent visa. 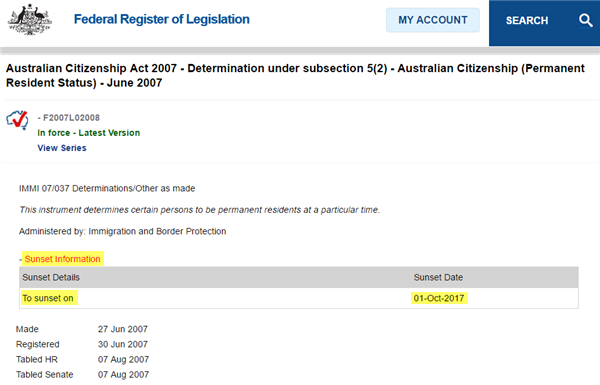 This right arose out of a legislative instrument signed in July 2007 by the Minister for Citizenship. The legislative instrument expires on 1 October 2017. From 1 October 2017 PSCVs may not be able to apply for citizenship. In other words, PSCVs will need to apply for a permanent visa. Depending on which permanent visa option is available to you (if any), this can be costly and time consuming. It is not known whether the Minister for Immigration will grant a new Legislative Instrument allowing PSCVs to apply for citizenship, but it isn’t worth the risk of not applying before 1 October 2017, if you’re eligibile. 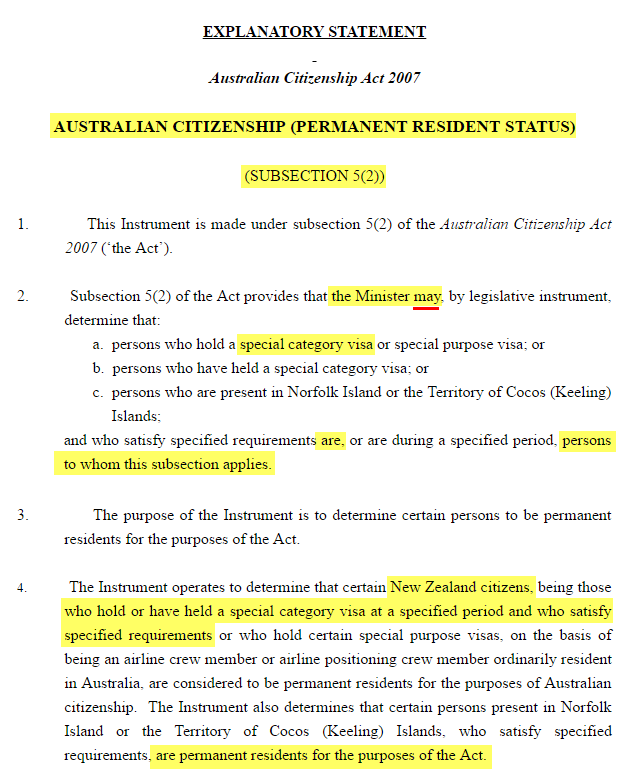 Oz Kiwi cannot emphasize enough how important it is for PSCVs to apply for Australian citizenship ASAP, if you meet the four year residency requirement. For more information refer to Applying for Australian Citizenship. Oz Kiwi is run by a small team of volunteers, please help us by reading the information provided on our website. If necessary, ask a friend or family member to assist you with the application form. You should obtain your New Zealand criminal record before applying for Australian citizenship if you have left Australia since turning 18 or if requested by the Department of Immigration. They are valid for six months, there is no fee, but it can take 1 – 3 months to be processed and sent to you. Read the Australian citizenship eligibility for New Zealanders information on the Department of Home Affairs website. You can also ask a question on the Department of Immigration Facebook page. Please do not provide your personal details on a public forum.